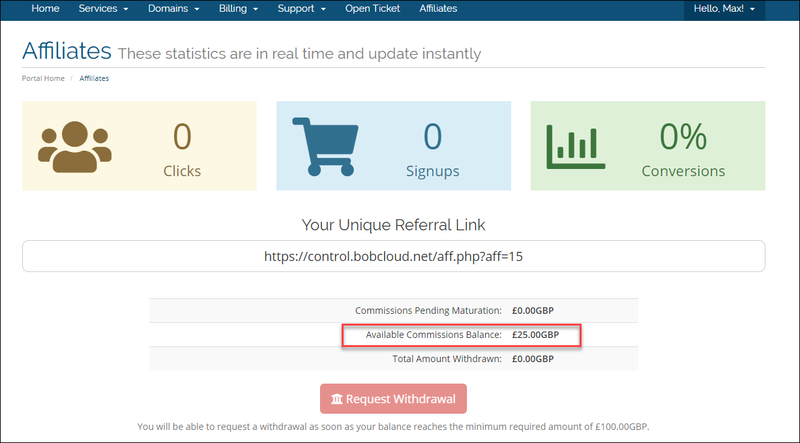 If you already have an account in our Client Area you can create your FREE Affiliate account in a few seconds. Click on the Affiliates tab at the top of the screen. After you activate the Affiliate account you will be taken into your Affiliate page. As a Thank You, we will give you a £25 credit. This is where we show how our banners will look on your website. When clicked, it will generate a 90 day cookie on the PC which will track visits and purchases on our site. To use any banner, simply copy and paste the code shown in red into your site. There is no need to modify the code.